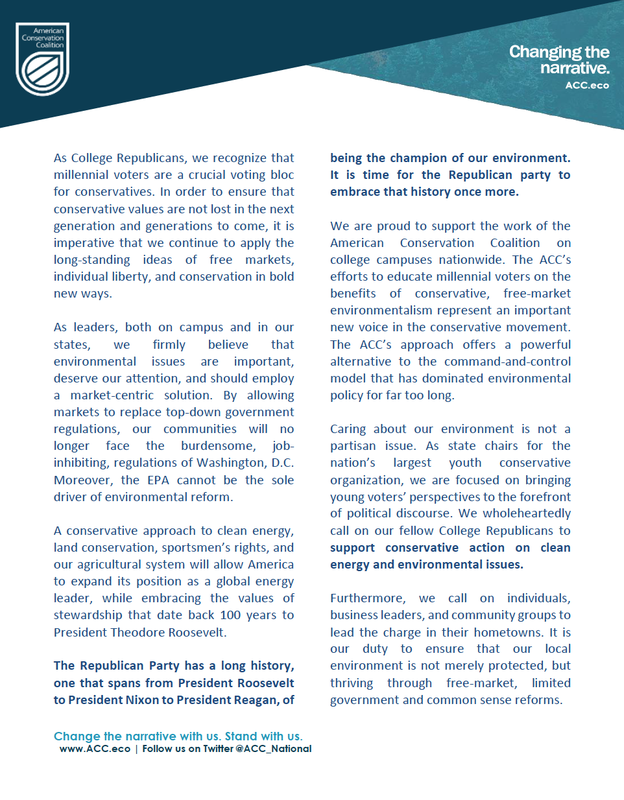 The following 30 College Republican State Chairs agree that it is time to address clean energy from a conservative, free-market perspective. 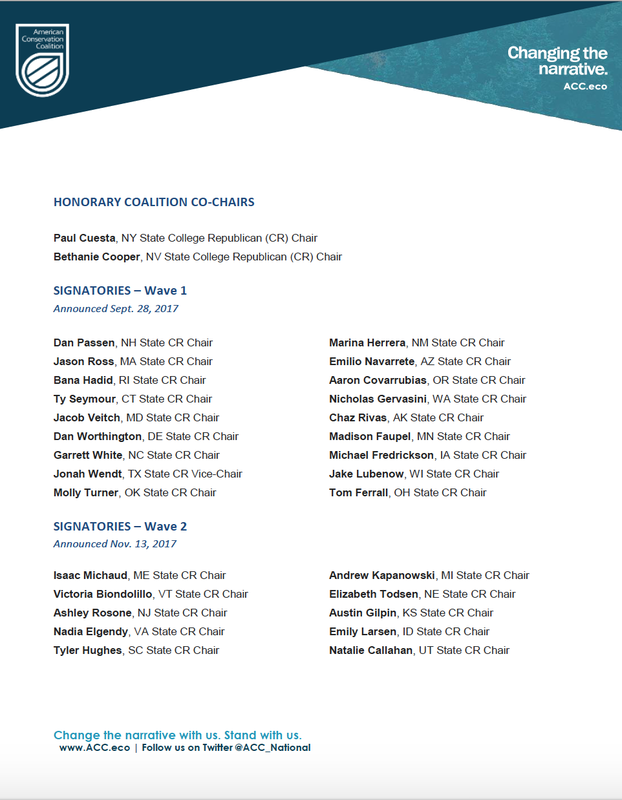 We are proud to have their support and we look forward to expanding this coalition to include an even wider array signatories. The ACC is proud to announce this cohort of CR State Chair supporters of its Clean Energy Coalition during the first annual National Clean Energy Week. College Republicans are strongest voice of millennial conservatives. It is an honor to recognize these signatories today. CRNC National Chair Chandler Thornton said, “It's exciting to see College Republicans nationwide embracing a free-market approach to clean energy. Building support for these policies is a great opportunity for conservatives to take the lead on energy and environmental issues." Questions about this coalition of support? Email danielle@acc.eco for more information about these organizations or how your own organization can join.